In 1998, young students Jairus Davis, Terrence Murphy, and Christien Starks had the opportunity of a lifetime: to interview Rosa Parks. It was brief, only a question or two, but it was an honor just to be in the presence of someone so influential on the nation and on the lives of these three Black Chicago kids. 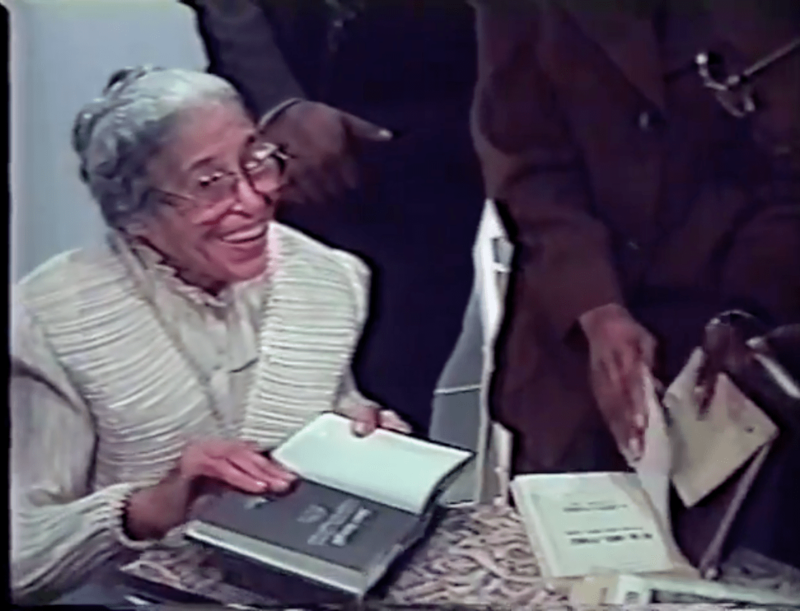 Rosa Parks at her 1998 Chicago book signing. CTVN can think of no better interview to kick off our month-long Black History Month retrospective. We’ll be spotlighting stories from various times in our substantial history, and on numerous topics. CTVN has always been proud to say that we produce stories from a wide variety of perspectives, especially those ignored in the mainstream, and we promise to continue to do so in the coming years. Honor the woman who forever helped change the lives of so many by not only watching the video, but by visiting the Rosa and Raymond Parks Institute website to see how you can contribute to the cause. You can also follow them on facebook, twitter, or instagram.